A navy pearlescent Pocketfold Wedding Invitation, is a bold and vibrant colour to represent the couples wedding colour theme of navy and pale blue, This design can be found in my Elegance collection and can be created in any colour theme, its a simple yet Elegant design and is my most popular design to date. My Pocketfold Wedding Invitations, open like a book with a Velcro dot, which hold the main invitation, RSVP card, two information cards and envelopes. 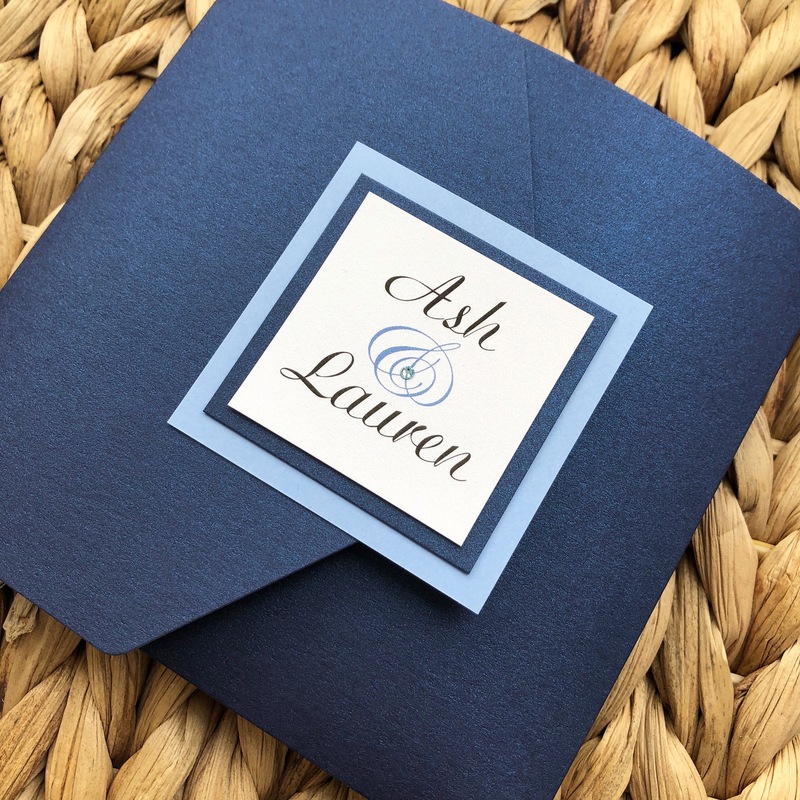 I received a lovely email from the Bride (Lauren) the day she received her Pocketfold Wedding Invitations. If you are interested in this Pocketfold Wedding Invitation design, in these colour or in another colour theme, please email me on [email protected] or call me on 07964357078, i will be more than happy to send you a free sample to see this Pocketfold Wedding Invitation design and the quality of my work? Explore more collections on our website.